Wednesday Bible Study: Come and study God’s word and enjoy conversation with others every Wednesday at 9:30 am. Homebound & Hospital Visitation: A caring group of trained members of Our Redeemer visit those who are unable to attend Sunday services, or others who are hospitalized. Band of Believers: Inspiring and spirit-filled musicians and vocalists lead worship for the later, Contemporary Service. The band meets Wednesdays at 6:00 pm for practice. Care for Creation: A team which meets to learn the Biblical foundations for caring for God’s creation, and to put those directives into practical actions toward “greening”. The Care for Creation team meets as needs arise. Church Choir: Singers provide music for the early Traditional service, and meets on Wednesdays at 7:00 pm to prepare for worship, as well as support one another through devotions and prayer. 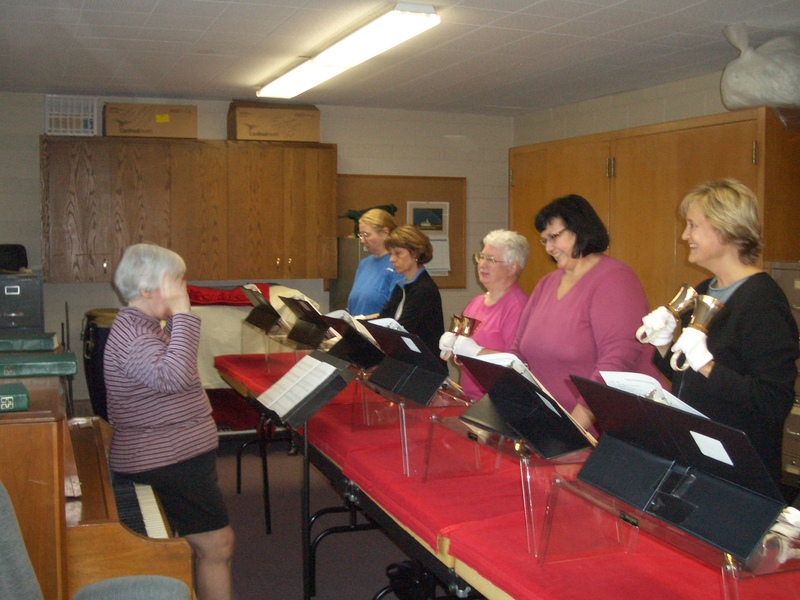 Handbell Choir: Teaches handbell skills and provides anthems for worship services. Rehearses Wed. eve at 6:00 pm, September to May. God’s Hands: Knitters and crochet lovers, this is the group for you! A friendly group of women meets Caribou in Maplewood every 3rd Thursday of the month at 6:30 pm Come and join the fun! Lives Worth Living: This is a group for Bible study, spiritual growth, and building caring relationships to serve Christ and the Biblical community. 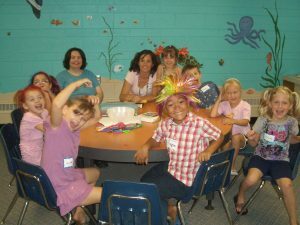 This is a faith group that meets the 1st & 3rd Mondays at 6:45 pm. Men’s Thursday Morning Bible Study: Men of all ages meet for breakfast and Bible study on Thursdays at 6:45 am at Perkins on North St. Paul Road in Maplewood. Share good conversation and dig deep into Scripture. Quilting Group: Quilters of all ages, come and piece your magic together and enjoy the fellowship of others at the same time! They meet the 2nd and 4th Monday at 9:00 am March – October. Women’s Circle Groups: There are 2 different Women’s Circles that meet to fellowship and study God’s Word. We welcome you to find a circle that might work for you! Hope Circle is on the 2nd Tuesday of the month in the Fireside Room at 7:00 pm. Joy Circle meets on the 2nd Monday of the month at 7:00 pm in various homes.